Much like our one week route this option builds on the same idea. This time going up to Tinos in the north and right down to Katapola on the island of Armorgos in the south. This route is for the keener sailor with strong winds blowing through making for an exciting and adventurous sail. Mykonos is famed for its non-stop party atmosphere, and is often referred to as one of the most popular and glamourous Greek islands. Paradise and Super Paradise attracts a diverse crowd of people and with bars right on the beach that stay open until sunrise we can see why this place is so popular. However it’s not all nightclubs and going out in Mykonos, the island is simply stunning with the towns all having the same traditional Greek white washed houses. This island truly is picture perfect. Once you have arrived in Mykonos and checked in with the local charter company you can enjoy your first evening in Mykonos. 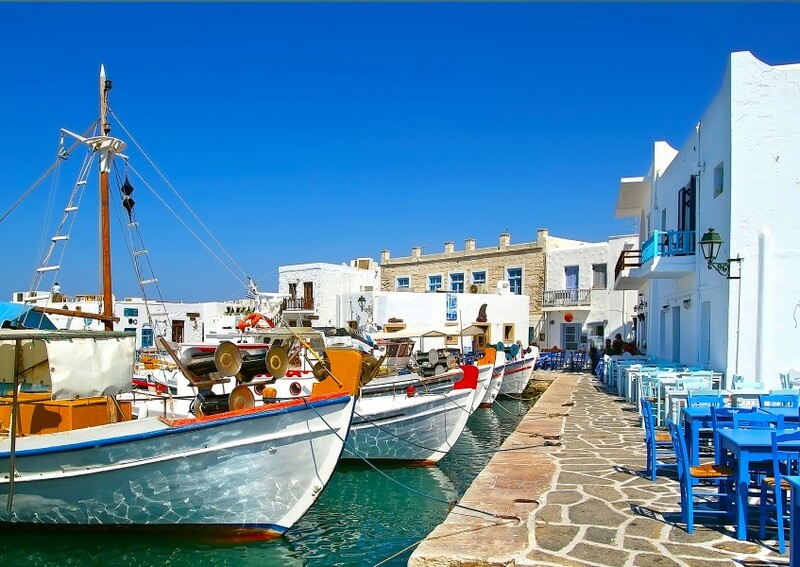 On day 1 why not head south 10 miles and visit the islands of Paros and Naxos. 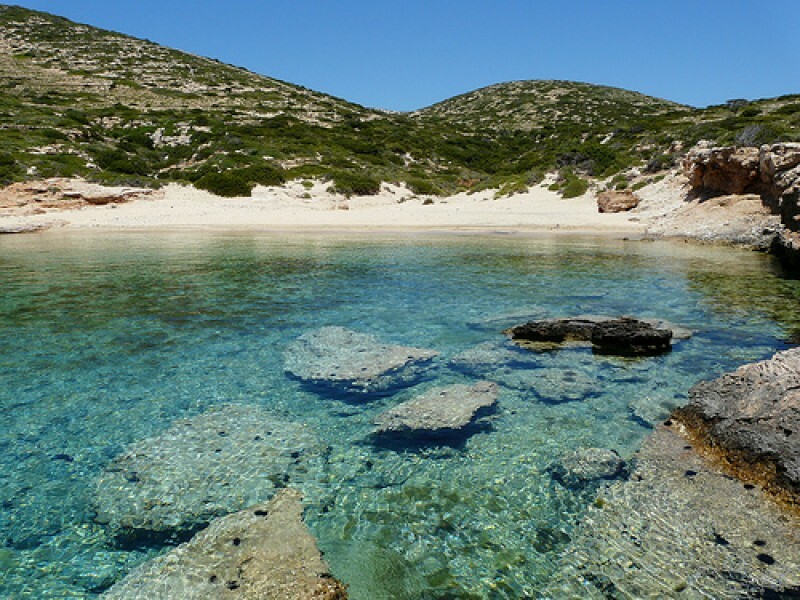 Naxos is known for its exotic beaches, you will find many stunning coves and bays as well as the western coastline which is perfect for windsurfing and kitesurfing. The west coast is the most tourist developed with seaside hotels, restaurants and water sport centres. A short sail from Naxos East will bring you to Donoussa. The only village and main port on the island is where you will find the most excitement, with many restaurants and little shops to keep you busy. There is not much transport on the island so it’s a great place to get rid of those sea legs and go for a walk. You will find many hiking trails that will take you all over the island. Armorgos could be your next stop and is covered in natural beauty. One of the most beautiful Greek islands. 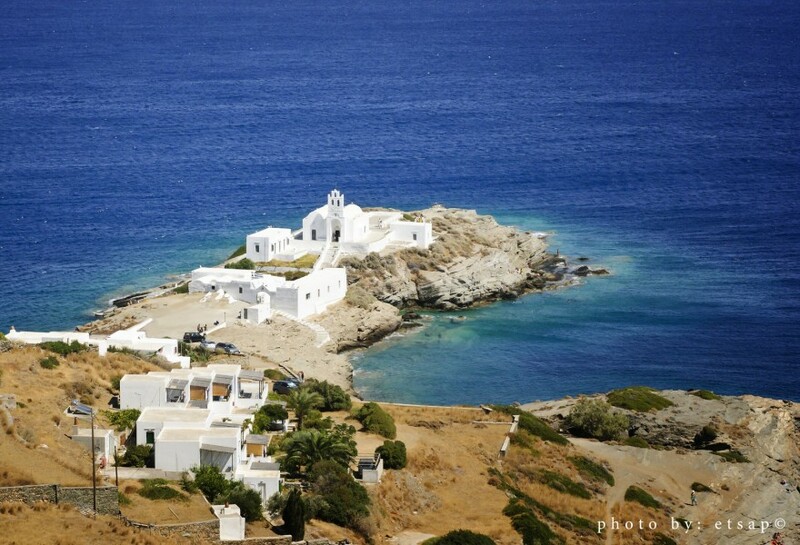 The island has lots of traditional Greek architecture and fabulous beaches with crystal clear waters. 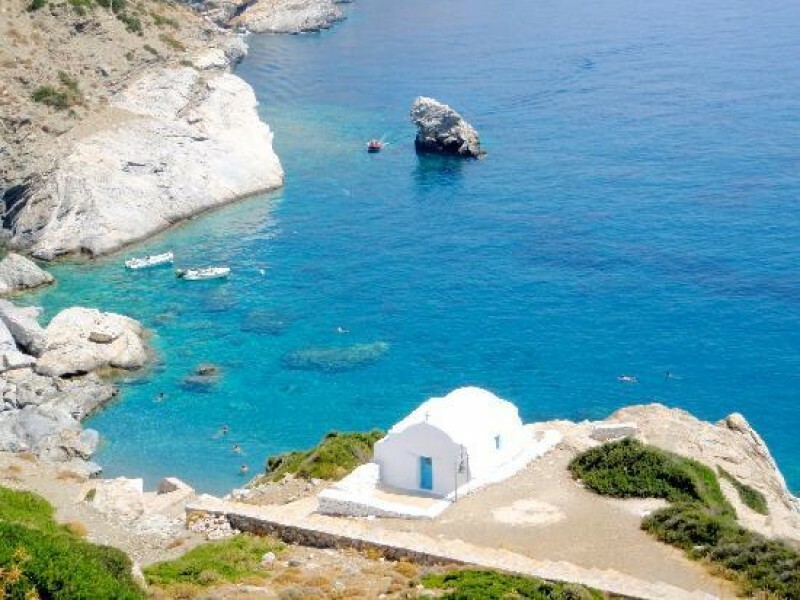 A 15 mile sail from Irakleia to Sifnos will get some of those sea miles in and a great place to sail for all those keen sailors. 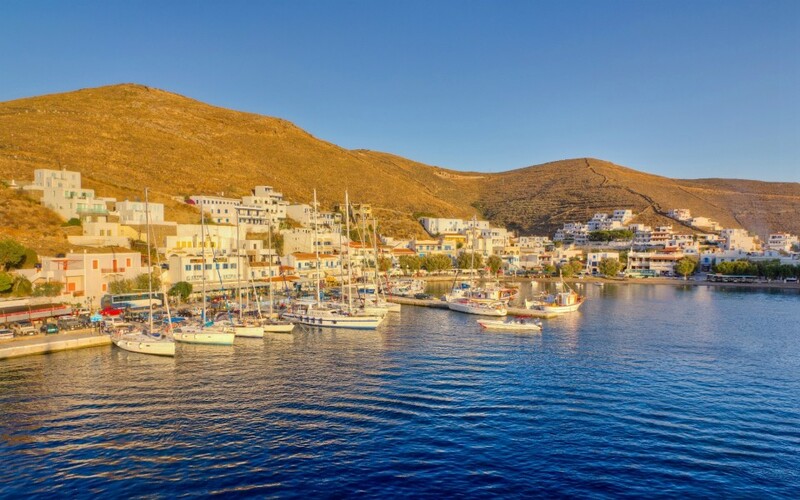 Sifnos, Serifos and Kithnos are brilliant overnight stays, with lovely ports home to traditional tavernas and prevision stores. 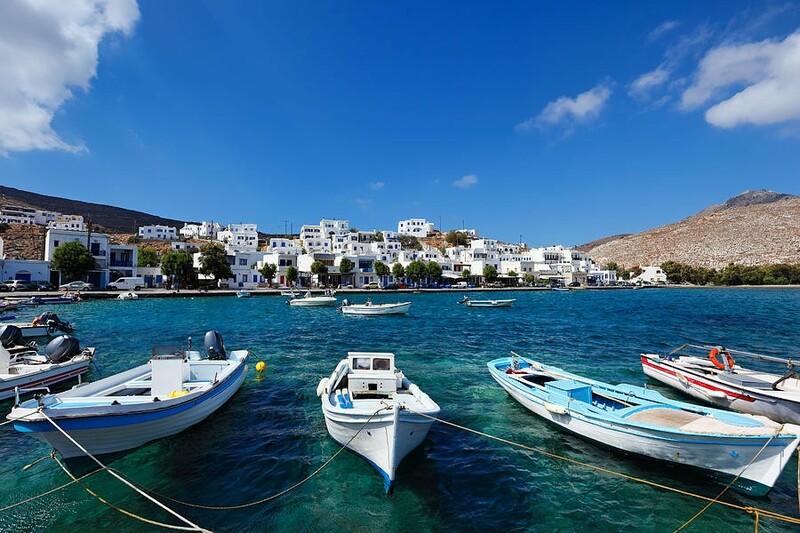 Kythnos is a charming Greek island that is off most tourists' radars, despite its proximity to the mainland, its thermal springs and 65 beaches. If looking for a beach the Kythnos has you covered, with 65 different sandy beaches to choose from. 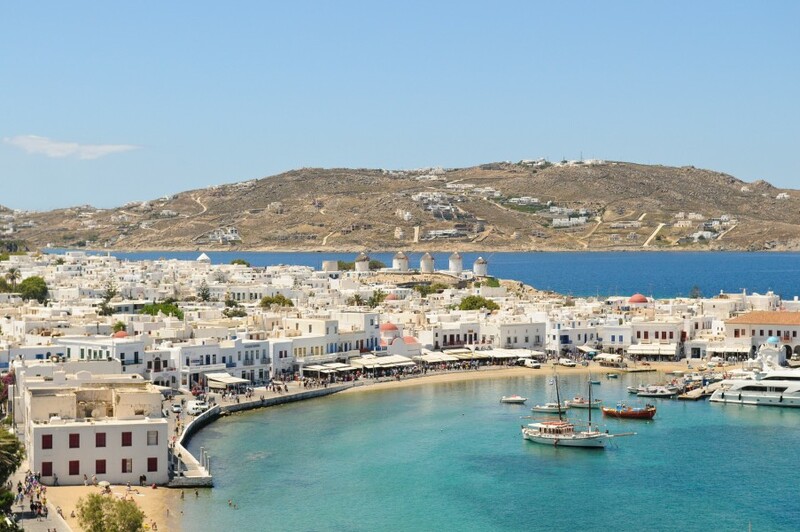 As you sail East on your way back to Mykonos you will be stunned by the beauty of each island, covered in traiditonal white washed houses complimenting the clear blue waters. Our favourite spots to visit for your last couple of days are Syros and Tinos. 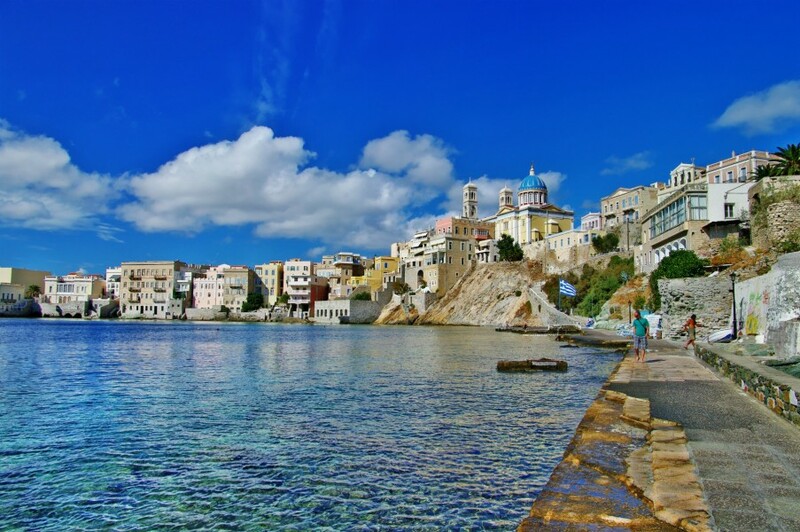 The town of Ermoupolis on Syros is known as the capital of the Cyclades, it is the largest town in the Cyclades and you will certainly notice it after coming from a quieter place. It's a bubbly town, which buzzes only like a town with an important cultural and commercial past can do. 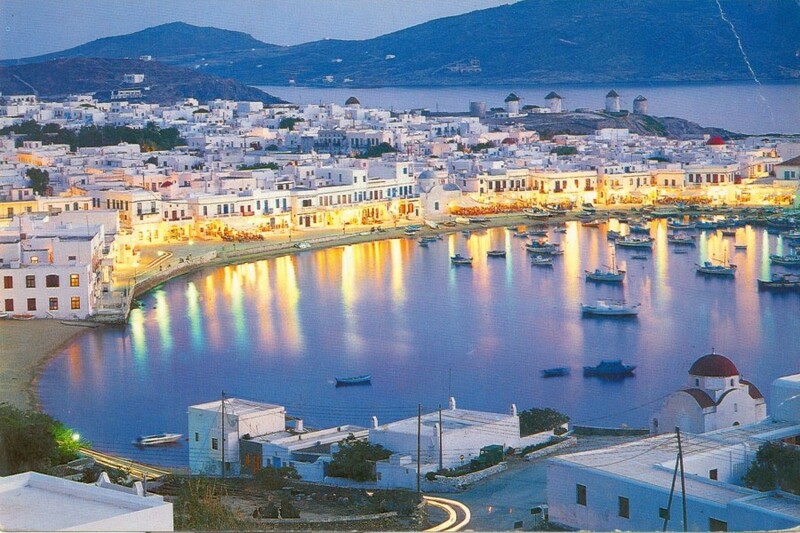 Tinos island is ideal for a family holiday, the beaches are calm and relaxing with many tourist facilities. You will find some great restaurants and lovely bars in the town and along the harbour and a few lovely little shops for presents and provisions. It's now time to head back to base in Mykonos, give yourself lots of time to explore the beauty of Mykonos. Getting there early on your last full day is a great idea so you can sightsee around the town and enjoy your last night before checking out the next day.